Nintendo has revealed the upcoming sets of NES titles coming to Nintendo Switch Online. 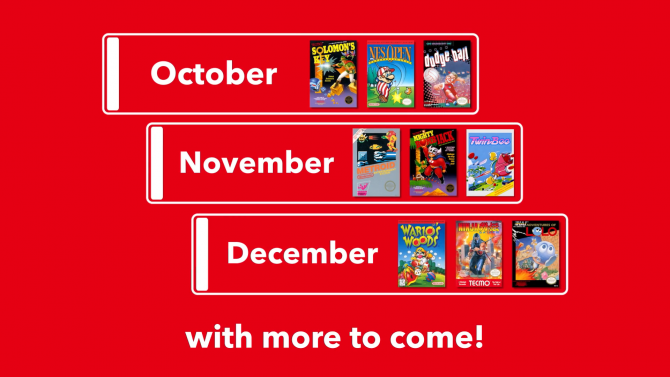 Throughout the rest of 2018 gamers can expect Metroid, Mighty Bomb Jack, and TwinBee and in December Wario's Wood, Ninja Gaiden, and Adventures of Lolo. Nintendo Switch Online is available for Switch users in one month, three month, one year, or family plans. 1 month is $3.99, 3 months is $7.99, 12 months is $19.99 and the 12-month family plan is $34.99.